Dr. Jordi Monés was a guest speaker on 28 September at a debate entitled “The Future of Health”, together with the President of the College of Doctors of Barcelona (COMB), Jaume Padrós, the CEO of the Atlàntida Group, Pere Abelló and the Director of the mHealth programme of Mobile World Capital, Joan Cornet. The discussion took place during the "Past, present and future of private health in Catalonia", a day of debate organised by Atlàntida Health that marked the 90th anniversary of the foundation of Barcelona’s oldest medical insurance company. The event began with a talk by Dr. Xavier Trias, who reflected on the relationship between public and private health and the role of new technologies, which are «going to change everything» and for which «we have to be ready if we wish to lead this process». Dr. Trias also highlighted the commitment of health companies to people who know about health and sustainable management. Meanwhile, Carles Rabassa, the Medical Director of the Atlántida group, underscored the example of coexistence between the public sector and private initiative represented by the Catalan health model. 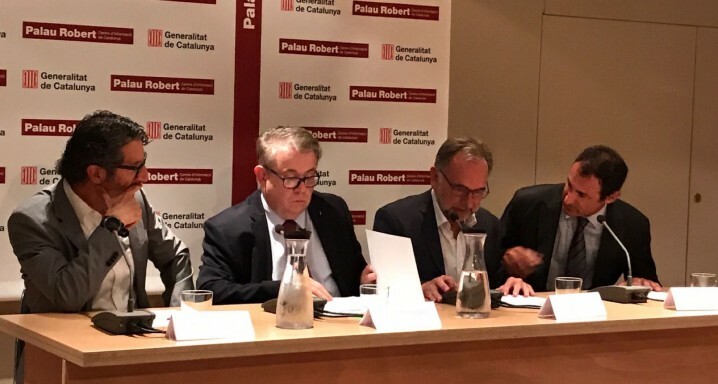 Barcelona’s Robert Palace is hosting the exhibition “Private Medicine in Catalonia", which was organised by the Atlántida medical insurance company in conjunction with the Palace itself and the Catalan Museum of the History of Medicine. This space provides an overview of the past 100 years and highlights the important work undertaken in Catalonia by private medicine and medical insurance companies. Held in the Palace garden, the exhibition runs until 22 November.